Please contact time and place before the day before booking.It will be closed as soon as it becomes quorum. A person in charge will pick you up with a placard. 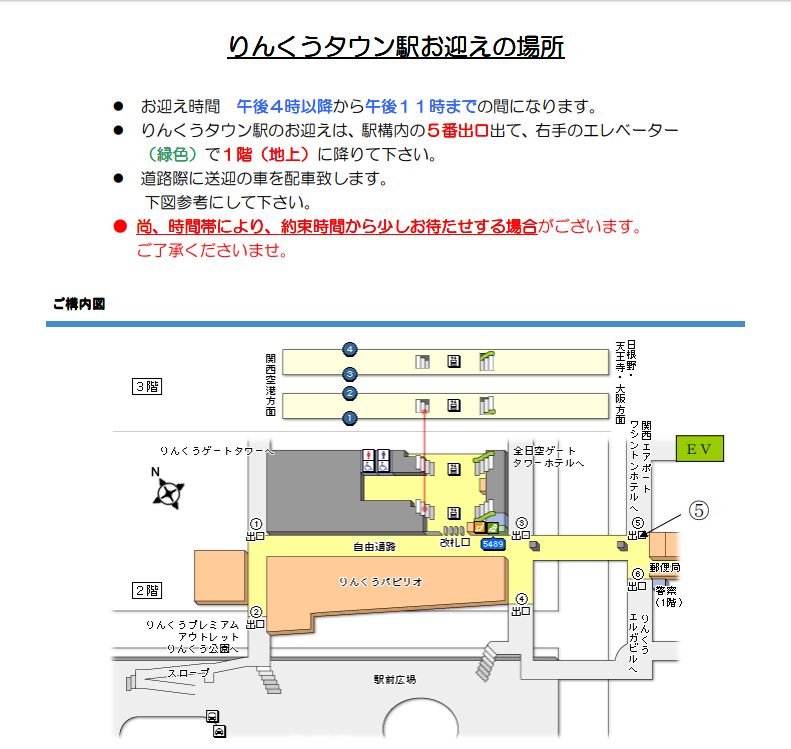 ★Please wait at Rinku-Town Station, exit 5 and take the elevator to the ground floor where you were on the first floor. On the road, a shuttle car is waiting. 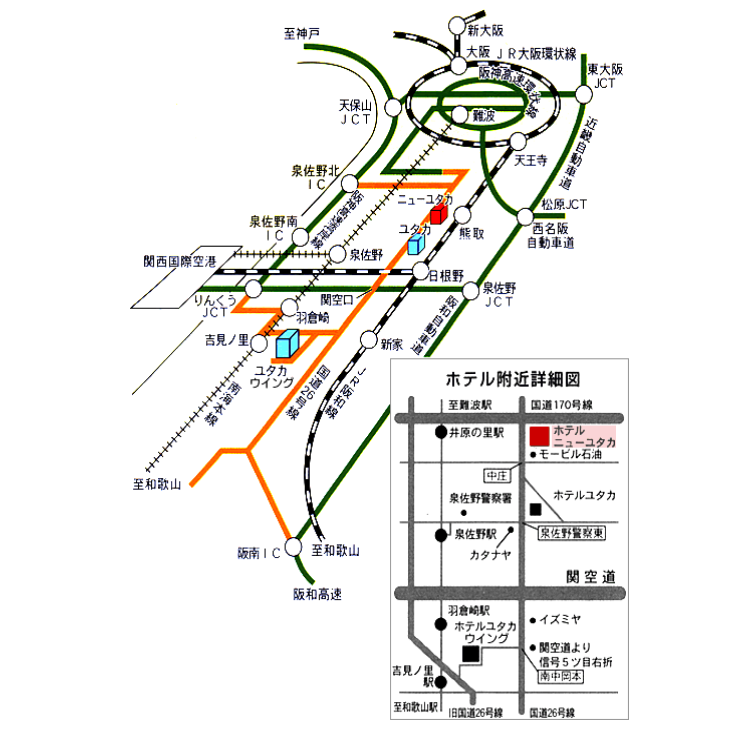 ★Please wait at Izumisano Station, east entrance, on the right hand 'General car landing place'. We will pass through the affiliate hotel, but we do not have much time to arrive. Just around the Nakaso intersection on Route Route 26. It will be kept only for your stay. 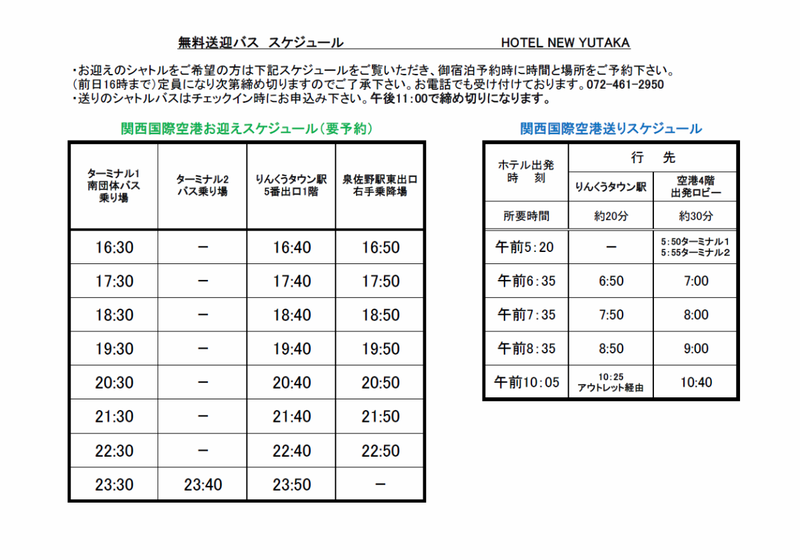 The use of the parking lot is 500 yen per normal car (including tax). If you are traveling by truck or bus, please contact the hotel. 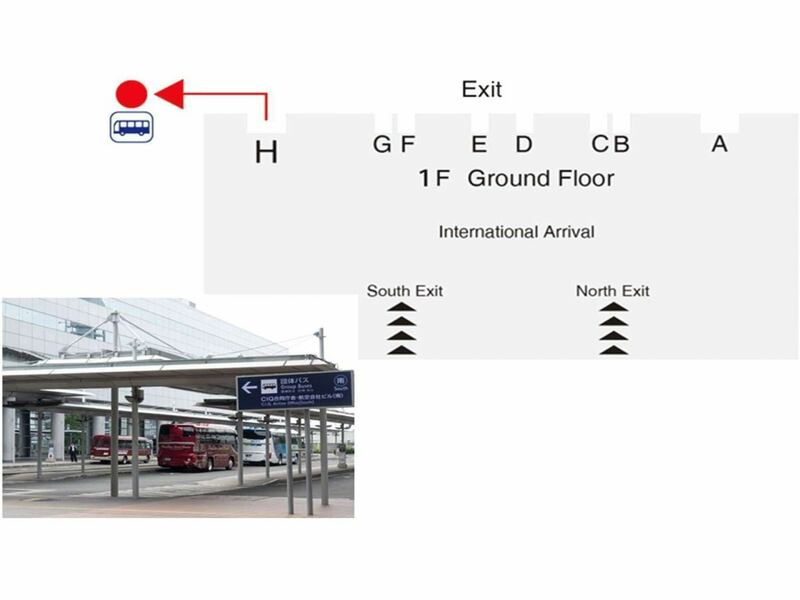 Arrival at the 1st floor Robby, take the "H" Exit to the left, and arrange a car on the display billboard of the South Group Tour Bus Stop. Copyright (C) 2018　Hotel New YUTAKA　Inc. All Rights Reserved.